Since 2016, Green Cellar is the first subsidiary distribution from the Laboratory Green Liquids. 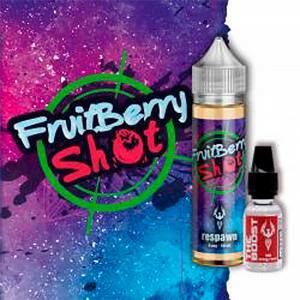 The Respawn range is a range of Shake & Vape E Liquids, ready to boost in a 50ml bottle. Each bottle is accompanied with a 10ml booster of 19mg/ml of nicotine. The Respawn recipe is proposed in 50/50 PG/VG. The Propylene Glycol and Vegetable Glycerine are produced in France, guaranteed with Colza and without Palm Oil. The aromas are exclusively reserved for inhalation. Of Red Fruits, Mint, Grapes and a small note of secrecy, an e liquid which is a must. A gourmandise typically made in the USA with notes of Cheesecake and Shelled Fruits with a Caramel base.